That's a very tall building, which, I'm thinking, is used for business purposes. I'm just glad I don't have to work on one of those upper floors. Beautiful b&w photo...has an infrared look to it. Beautiful but "scary" - huhhh, sooo high! I like Black and White feel. Looks probably better in black and white then in colors ! Striking image! Perfect black and white. Dramatic and impressive, efect in b&w! That's a nice for a monochromatic photograph. Great BW shot. I like bright on the top of building. 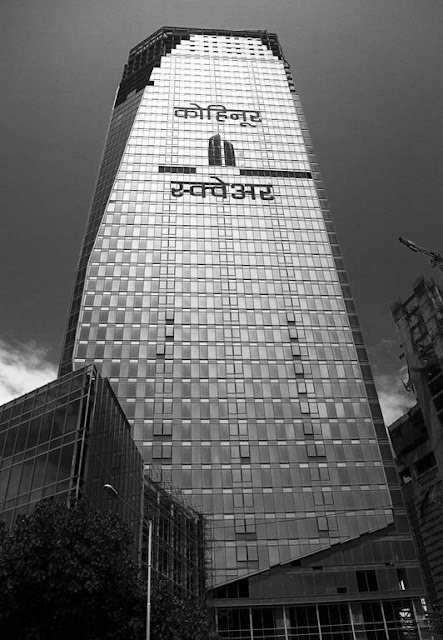 Such a very tall building, I like your photograph.